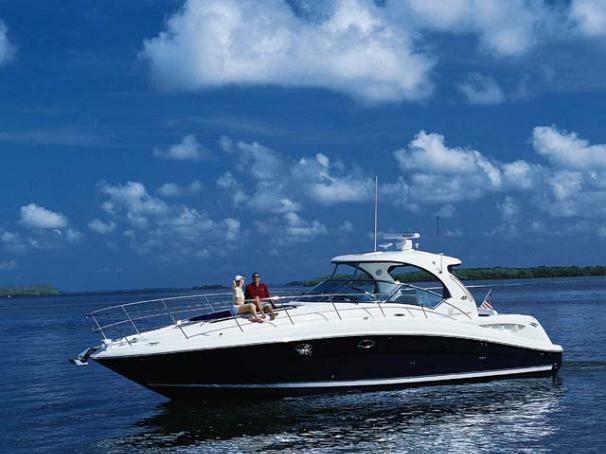 Boat Description Designed to get noticed, the 390 Sundancer features elegance at every turn. A sleek, low-profile helm plus glove-soft cockpit seating makes this member of the Sundancer family an ideal place to spend a weekend of fun. Below, the gorgeously appointed salon includes a fully equipped entertainment center, beautiful wood crafted galley and separate conversation area that converts to a bed for overnight guests.